Kanzuri is a special seasoning paste made from fermented red peppers. 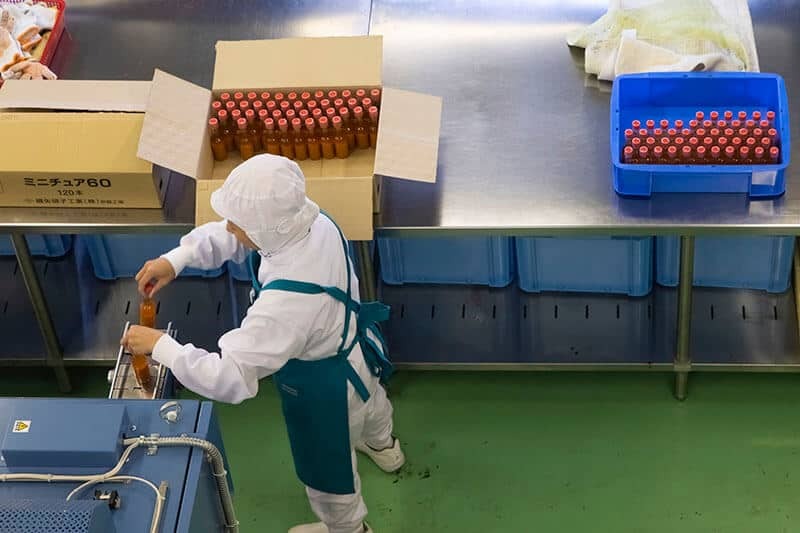 The peppers are grown locally, and the product is produced locally in Myoko City. Kanzuri is now being sold all over the world and is becoming quite famous. 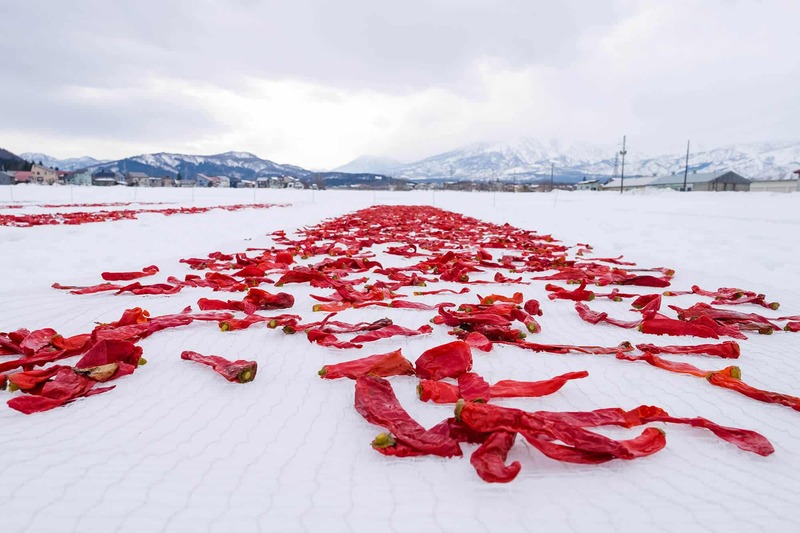 The peppers are first preserved with sea salt and then during the winter months they are laid out on the fresh snow which draws out the salt, bitterness and some heat from the peppers while also increasing its sweetness. If you are in Myoko during the winter season you can see this amazing sight. After being laid out on the snow the peppers are then crushed and mixed with a rice koji (like yeast to aid fermenting), some yuzu (Japanese citrus fruit) and salt. This mixture is then left to ferment for 3 years. Recently they have a new product that is left to ferment for 6 years! The spice is traditionally used in many foods such as ramen and soups. It can be used in any dish that requires a bit of heat and that famous Japanese umami taste. There are three types of tour that are available at the factory. 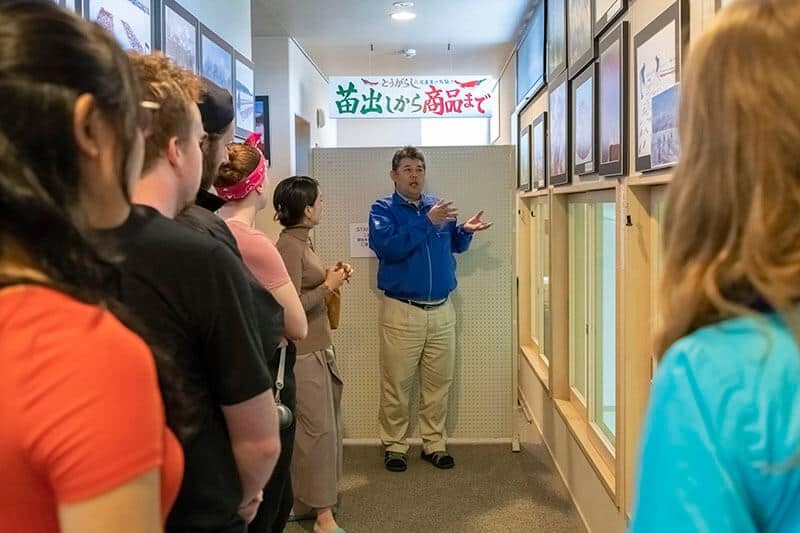 This is a basic spoken tour where you can have a brief look down in to the factory and can hear a talk (in Japanese) about the history of the facory. 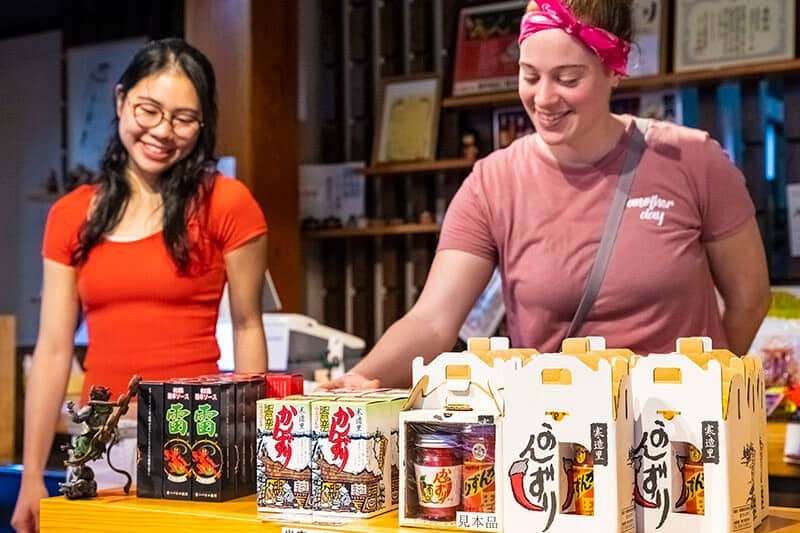 You will also get the chance to try the various products and also buy them in the shop. This tour is free and lasts about 45min. You will need to book the tour so please ask your hotel or us to help you with this. You can help pick the peppers and prepare them to be used for the next batch of kanzuri. This tour has a small cost and must be booked in advance. Please contact us for more info and to book this experience. During the winter the peppers are laid out on the fresh snow. You can view this to take photos or take part in the laying out the peppers. To visit and photograph the area is free of charge. If you wish to help with putting the peppers on the snow you should contact the factory either through us or your hotel to arrange a time and date. You can try this from mid-January to the end of February.